Nan, Inc. 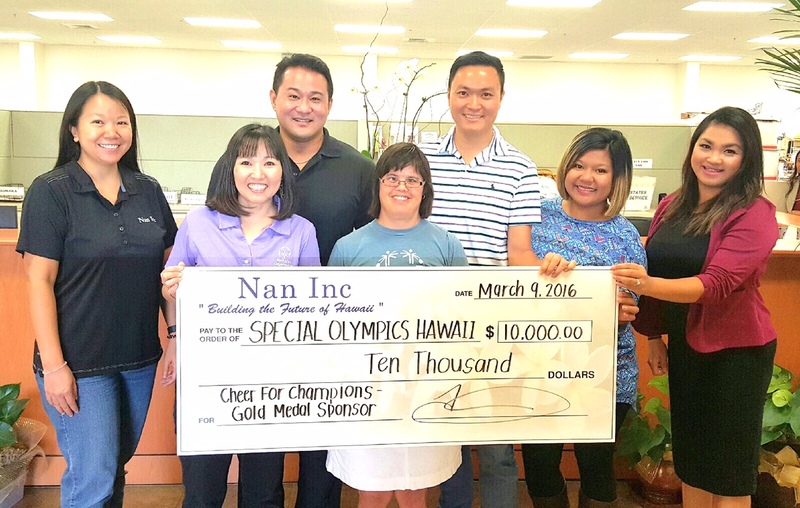 Proudly Continues Their Support of the Special Olympics | | Nan, Inc.
For the past 4 years, Nan, Inc. has shown their support of the Special Olympics, an organization whose mission is to provide year-round sports training and athletic competition in a variety of Olympic-type sports for children and adults with intellectual disabilities. This year, we are proud to donate $10,000 to their cause, in our constant pursuit to giving back to the community.